41years ago, Indian physicist, Raja Ramanna, was invited to stay in Iraq, as a prized guest of Saddam Hussein. As expected, such an invite sent by the Iraqi dictator to a nuclear physicist, was not all that cordial and had a hidden agenda. Surprisingly, this was just four years after Dr Ramanna conducted India’s first nuclear test in Pokhran. A 1974 event that shook the world out of its slumber as India renounced its status as a ‘Third world country’ to move towards becoming a ‘developed nation’, also affected Saddam. Angry and desperate, Saddam wanted Dr Ramanna to stay back and lead the country’s nuclear programme to create an Iraqi nuclear bomb. He was even taken on a tour to Baghdad and Iraq’s main nuclear facility at Tuwaitha, and at the end of the trip, an offer was made by Saddam. “You have done enough for your country. Don’t go back. Stay here and take over our nuclear programme. I will pay you whatever you want,” was the statement Saddam made, as reported in a book, Saddam’s Bomb, by British journalists Shyam Bhatia and Daniel McGrory. Perplexed, scared and afflicted by a sleepless night, the 53-year-old (then) wasn’t sure if he might ever see India again, and at the next opportunity, booked a flight a nd fled. Although a sensitive topic of discussion for the late scientist, this incident, after so many years, stands out as an interesting one reflecting India’s advancement as a prominent nuclear power, all thanks to Dr Ramanna. Hence, on his 94th birth anniversary, it is important to remember him as the visionary scientist who is the reason behind India’s promising strides in nuclear science. Born on January 28, 1925, in Tumkur, Karnataka, Dr Ramanna was a protégé of Dr Homi Bhabha, the founding father of the Indian nuclear programme. His acquaintance with Dr Bhabha also had a musical beginning, when they were set up to meet in 1944 by a mutual friend, based on their shared passion for music, especially Mozart. That meeting eventually brought the two closer, as five years later, Dr Ramanna landed a job at the Tata Institute of Fundamental Research (TIFR), the centre of India’s atomic energy programme. Under Dr Bhabha’s guidance, he went on the lead the first underground nuclear test on May 18, 1974 at Pokhran, Rajasthan. But being an internationally renowned scientist was not all, he was an administrator and a teacher as well. A perfect example of a man reflecting the blend of science, technology and arts, he was also a scholar with a penchant for Sanskrit literature, and an accomplished pianist, with several concerts to his credit. His deep interest in philosophy was said to have given him a holistic understanding of science. He was also an author, the first and only former chairman of the Atomic Energy Commission (AEC), to have penned an autobiography, Years of Pilgrimage: An Autobiography. Later, he wrote a book on music as well, The Structure of Music in Raga and Western Systems, in 1993. 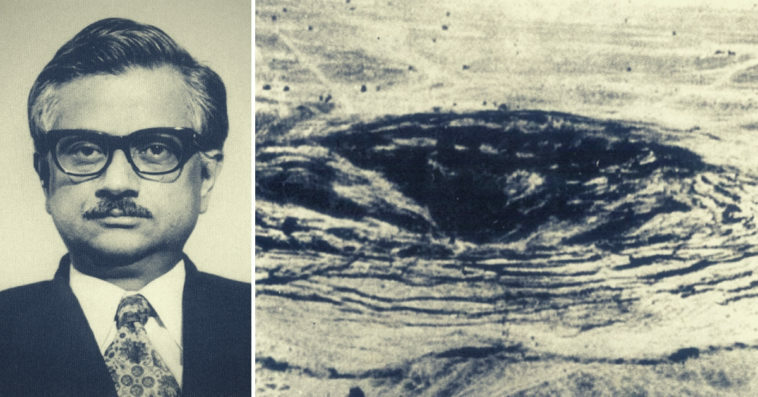 On May 18, 1974, Dr Ramanna played a crucial role in making India’s first underground nuclear bomb explosion a reality. Despite the criticism it garnered, the nuclear test did not hurt anyone, nor did it intend to. The only idea was to send out a strong message to the world. It was hence called the “Peaceful Nuclear Explosion” with an interesting code name: The Smiling Buddha; as it took place on Buddha Jayanti! But, at the initial stages, it was a top-secret project, as Dr R Chidambaram, former chairman of the AEC recollected. In an interview published by the DAE in 1998, Chidambaram said that to maintain secrecy the first step was not to put anything in writing. The next was to work on the project on a part-time basis. According to him, Dr Ramanna had begun thinking about developing a nuclear explosion even before the death of Dr Bhabha in 1966. “Once the clearance (for conducting the test) had been obtained by Dr Ramanna, the crucial thing was to move the plutonium. That was moved with the help of a military convoy – in an unannounced box – and the people in the convoy were wondering why Roy and I were always keeping close to the box. I remember the excitement when we safely reached Pokhran with the consignment. Incidentally, when we lowered the device, there was a dust storm that worried us. But in the event, it helped us. For no spy satellite picked it up,” Chidambaram recollected. The erudite scientist won several awards, including the three of the four most prominent Indian civilian awards–Padma Bhushan, Padma Shri and Padma Vibhushan. Even after his death 15 years ago on September 24, 2004, his contributions to the field of science, technology as well as defence, continue to drive India towards a developed tomorrow!